$25.00 Off Your First Visit! 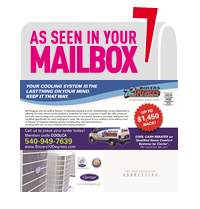 Boyers 72 Degrees, is a Virginia VA Heating, Cooling, Air Conditioning, Plumbing, Geothermal Heat Pump, Ductless Mini-Split, and Furnace repair, service, replacement and maintenance Company located in Central Virginia County. Boyers 72 Degrees employs only the best plumber for plumbing repair and technician for air conditioner and furnace repair as well as all air conditioner, furnace and boiler replacement in Lyndhurst VA, Stuarts Draft VA, Nellysford VA, Afton VA, Fishersville VA, Greenville VA, Montebello VA, Tyro VA, Waynesboro VA, Roseland VA, Mint Spring VA, Greenwood VA, Faber VA, Lovingston VA, Batesville VA, Steeles Tavern VA, Staunton VA, Raphine VA, Covesville VA. So when you ask to find "A good heating, air conditioning, plumbing repair or service company near me," you've come to the right place. To set-up a repair service estimate or replacement estimate, call (540) 949-7639. 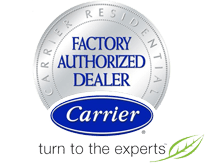 Boyers 72 Degrees services all furnace, AC, humidifier, filter, thermostat and water heater brands including Carrier, Bryant, Payne, Trane, Lennox, Rheem, Ruud, Amana, Daikin, Mitsubishi, Fujitsu, Crown, Frigidaire, Gibson, Goodman, Lochinvar, Maytag, Weil McLain, A O Smith, Kohler, American Standard, GeoExcel, General, Aprilaire, Honeywell, White Rodgers, Dynamic and Skuttle.